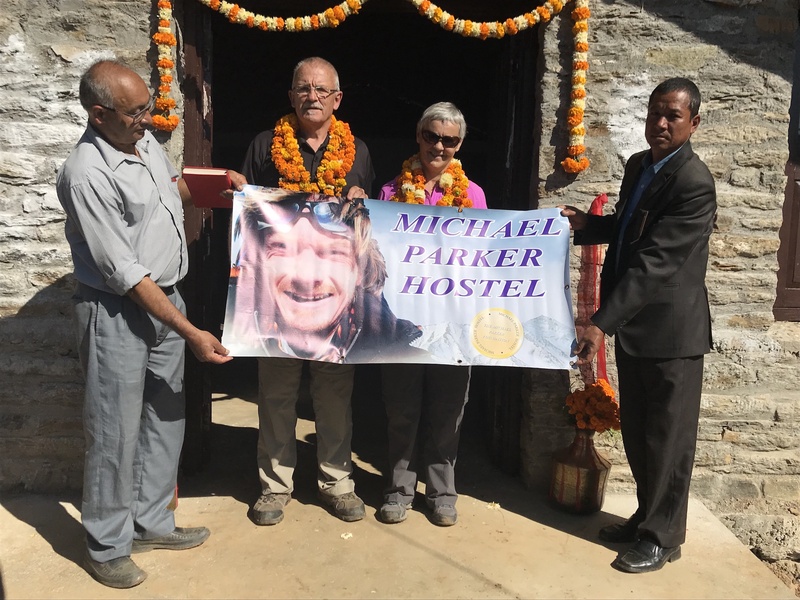 It is now two and a half years since Nepal was struck by an earthquake which was particularly devastating to the people of the area in which the Michael Parker Hostel is being built. 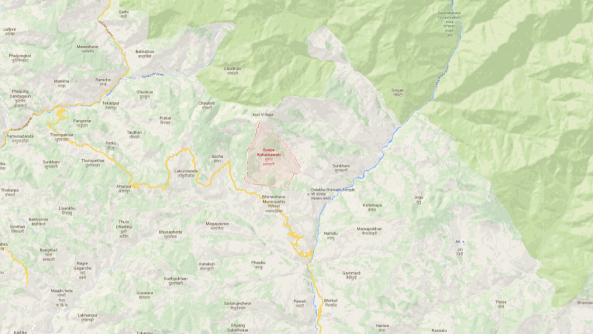 Although the hostel foundations were not badly affected, the school and neighbouring village was impacted upon. As the hostel is being built by local craftsmen, the earthquake had a major impact on the progress of the building. Late last year one of the MPF trustees, Trudy Brentnall and her partner Drew Gordon were fortunate enough to be able to visit the project in Nepal. They were able to represent Michael’s parents, Gail and Bruce at the official opening of the first stage of the project. 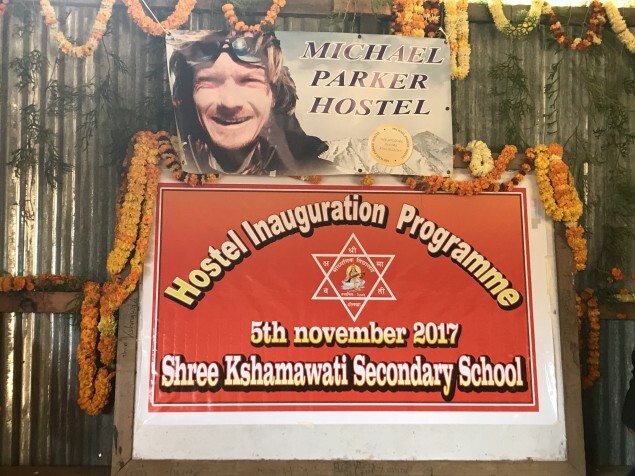 The hostel building is being coordinated and supervised by a very impressive alumni group consisting of an architect, past students and principals as well as leading Nepalese business people with diverse international experience and education. After travelling 150km for 8 hours in a 4-wheel drive on very challenging roads from Kathmandu, then a 1km walk to the Kshamawati Hostel, Trudy and Drew understood the remoteness of the hostel. They also understood how difficult it could be for children to get to school regularly. On their arrival at the school they were totally overwhelmed by the greeting offered by students, the Alumni and officials. They were given a very ceremonious welcome with speeches, dancing and the official cutting of the opening ribbon. Teachers and officials proudly conducted a guided tour of the hostel and were very pleased to show the ongoing progress of the building. Bunkrooms were completed and were about to be furnished with beds and lockers with a goal to have initial female students accommodated early in 2018. 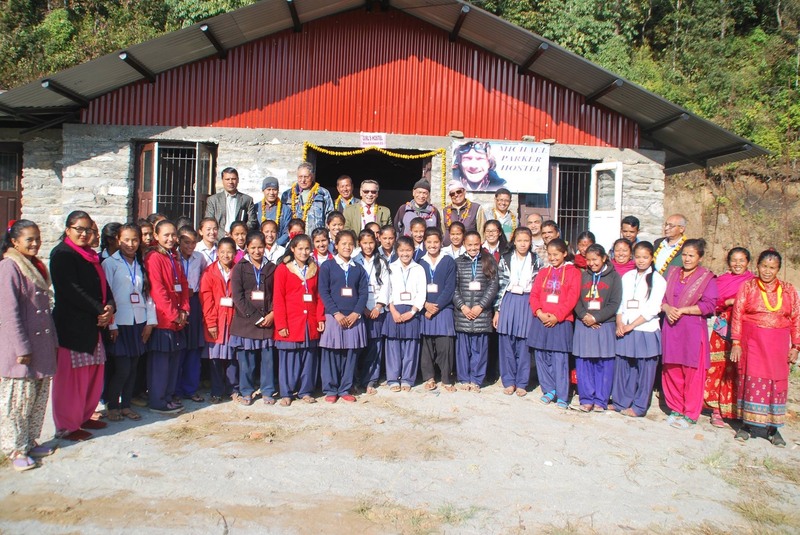 Since Trudy and Drew’s visit, the Chairman of the Kshamawati Michael Parker Foundation Alumni has informed the MPF that the hostel is now housing 33 female students on a trial basis for 3 months. This will give the girls the opportunity to concentrate on their studies for their upcoming exams. A teacher has been assigned as a Warden and an all-important experienced cook has been engaged to look after the girls. Work is progressing on the boys’ wing and they will be occupying their accomodation in the near future. 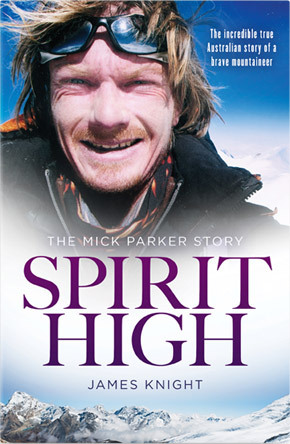 Trudy and Drew were very excited to be present for the opening of this important project and know that Michael in his own quiet way would have been thrilled that his legacy lives on. The following is a poem written by Makundra Kaj Shiwakoti, Principal of Kshamawati Secondary School. We don’t know whether dried are their tears! He has been made immortal, his parents now our Uncle and Aunt!